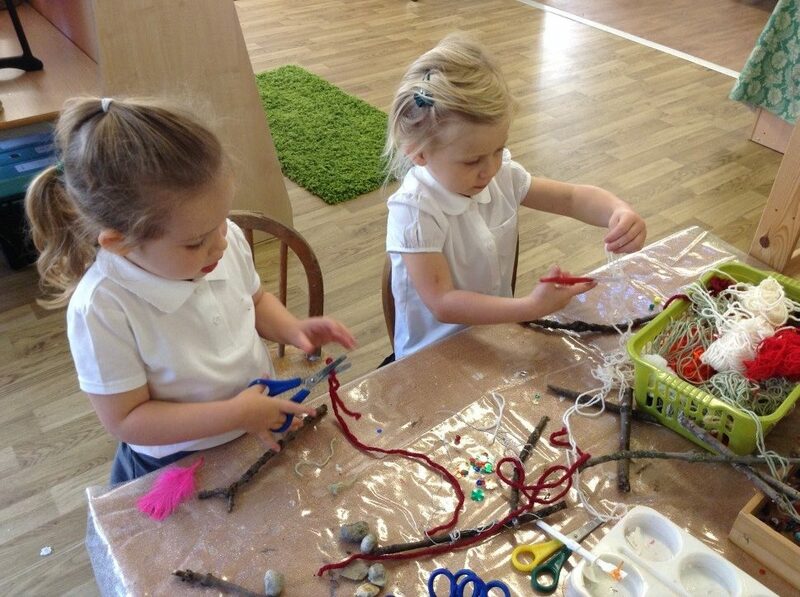 Reception are going Stick Magic Crazy! Over the past week the children have been really interested in using natural materials to create collages and they enjoyed making magic wands from sticks they have collected in the garden. They discussed how they could use magic in spells, although most of these involved turning family members into different animals! The collages and magic wands are currently displayed around the school for others to see and admire. Outside in the garden, construction has been particularly popular, with a number of children choosing to build fire engines and using imaginative role play to become firefighters. The effective layout and use of resources enables imaginative experiences for the children which hopefully many of you would have seen when visiting us for our ‘stay and play’ sessions this week. We have been encouraging the children to practise putting their coats, cardigans and jumpers on independently, so please can you support us by helping the children to do this at home. They especially find it difficult when they have to try and put clothes in the right way that are inside out!